There are several reasons why you might want to create a bootable USB flash drive, such as installing a new OS on the computer, repairing the PC with installation CD. Whatever the reason is, the fact is that there are a number of ways you can learn from to burn an ISO file to a USB drive. However, if you chose the wrong software, then the burning process would fail. Why? Becasue some of the candidates were not updated for years and doesn't support the latest Windows 10. So in here, we tested 10+ popular ISO burning software and pick up the best 4 from the list according to the test result. So you don't need to worry about it any more. Please keep reading and find the best one for you. Windows USB/DVD Download Tool is created by Microsoft once Windows 7 was released. This one is favored by many of the users because of its simplicity and compatibility with older versions of Windows. Mostly importantly, it is free. 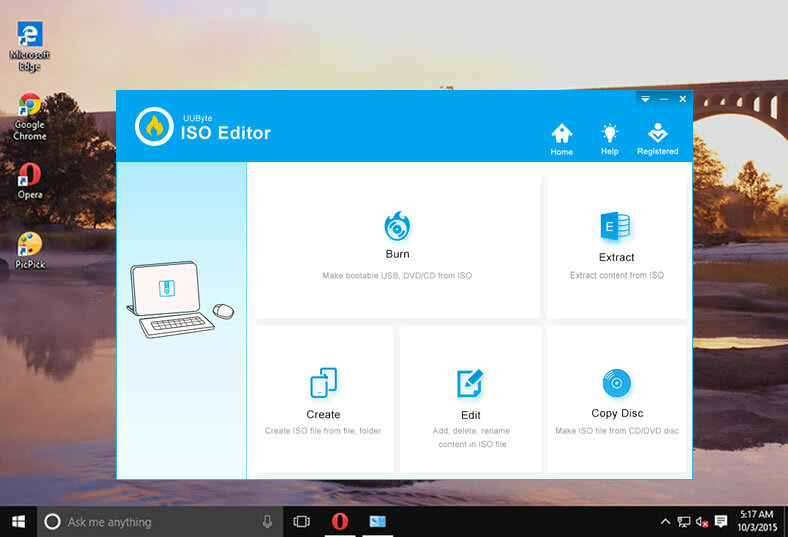 So if you intended to burn ISO on a Windows 7 or Windows 10 computer, then it is the best choice for burning Windows installation ISO with this tool. For Linux or other ISO file, the success rate is dramatically reduced for no reason. Step 1: To begin the process, you must first download the application and install it on your Windows PC. Once you launch the program you must also insert a USB drive with adequate space to save the ISO file. Remember that during the process, some or all of your data saved on the USB drive may be deleted. This is because the drive will need to be formatted before the ISO file can be burned onto it. The advantage of using a USB, however, is that you can burn other data onto it later on, unlike a writable DVD that you can only burn once. 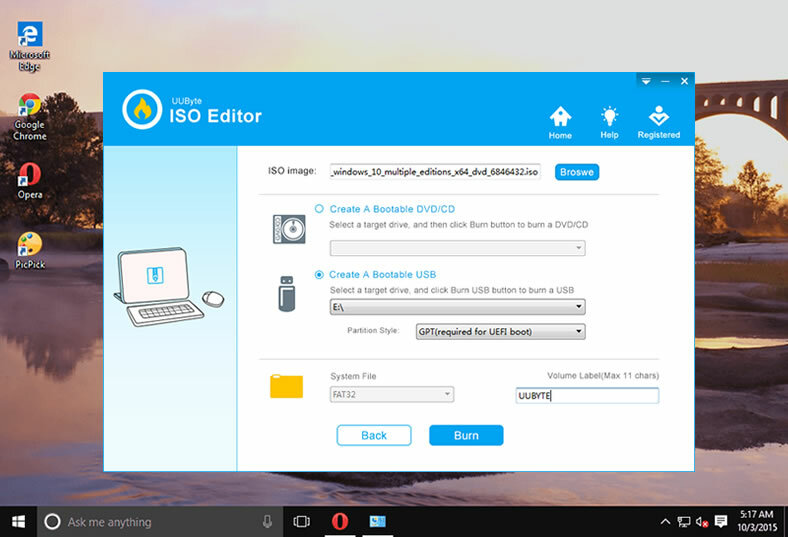 Step 2 : When opening the program, you will see a window where you will need to add the ISO file to be burned onto the USB drive. Step 3 : Choose the media type, which will be USB drive in this particular instance. Step 4 : Once you have made your selection, you will see an option that says "Start Copying". Click on that to initiate the burning process. At this point, you may receive an alert notifying you that all data on the USB drive will be erased. This is usually a two-step confirmation which has been implemented to prevent accidental deletion of data from the USB drive. Once you click "Yes" on the final confirmation window. Once the process is over, remove the USB drive and use that for whatever purpose you need to. Like we said before, Windows USB/DVD Download Tool doesn't always work on all ISO files. We have tested this program on 5 blank DVD disc and USB drives. Only half of them passed the test with Windows USB/DVD Download Tool. So what is to do it it failed? You don't need to worry much about this becasue there are so many alternatives out there. UUByte ISO Editor is one of them. 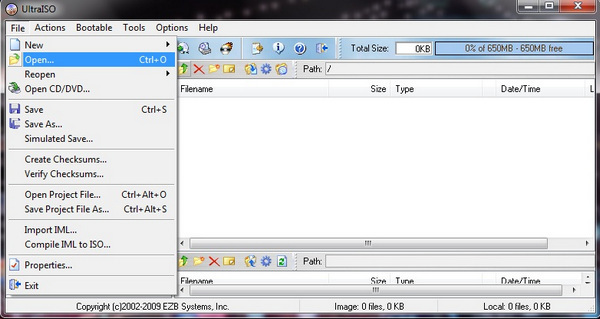 Create ISO image from files and folders. Extract files from ISO image file. Directly make ISO file from CD or DVD disc. Edit ISO files as much as you want. Download and install UUByte ISO Burner to a PC or Mac and launch the application after installation. From the main interface, please click "Burn" button. This will go to the ISO burning window..
Now, insert an USB drive into the computer. Then UUByte program will detect the device in a minute and you can find it in drop-down menu. Next, click "Browse" button to add an ISO file from the local drive to the program. 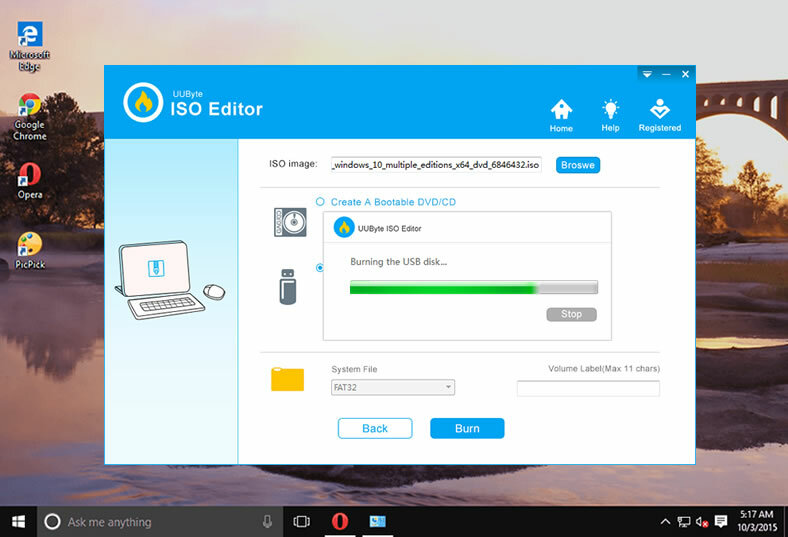 Select the USB name and click "Burn" button at the bottom to start the ISO burning process. You will see a message popping up when it is completed successfully. It usually takes 3-10 minutes to be finished, which is largely dependent on how big the file is. As you can see, UUByte ISO Editor is quite impressive for ISO burning, right? Only a few clicks to help you make a bootable USB sticks so you can use it to fix system issues. It is free for try! 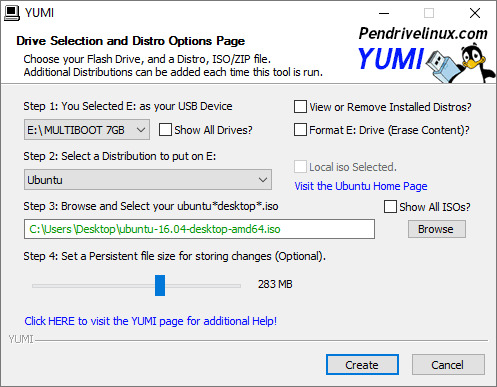 YUMI is another famous ISO burning program but it is a bit different from other tools. YUMI is short Universal Multiboot Installer. As its name implies, the main purpose of this program is creating bootable USB drive from operating system ISO (Windows, Linux, etc. ), rescue disk and WinPE. In addition, it is easy to create multiple boot devices with this amazing tool. Step 1: Download and install YUMI on your computer. Now insert a USB flash drive into the computer. 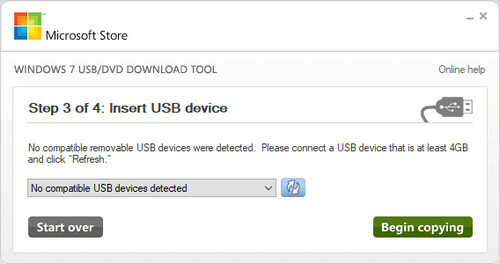 Step 2: Now, launch the application and select the USB device name at the beginning. Next, you should select distribution name and ISO file to be burned on that USB. Step 3: Finally, click on "Create" button in order to create your multiboot USB drive. Once it is done, you can boot up the USB drive and select the boot option accordingly. UltraISO is the most well-known name when it comes to ISO burning. It had a great repution in the past. However, it is a little bit more complex to use than the previous three utilities. The long list of options might get you confused when using it. That is why it is not recommended in first position. It is still reliable and trusted by thousands of users around the world. Step 1: As with the other applications, download and install this utility to your PC. Note that you will need to run the application as administrator. Step 2: Next, go to the ‘File’ menu and click on "Open" to select the appropriate ISO file. Once the file has been selected, click on the bootable menu and select the option called "Write Disk Image"’. Step 3: You can now select the USB drive as your ‘Write Method’, and then click on the "Write" button. Your USB drive will first be formatted. With this software, you will need to click on "Yes" after the formatting is done. All of these utilities continue to be used by thousands of users around the world every day. Choosing the right one is often a matter of preference rather than capability since all of these are pretty powerful tools. Another deciding factor is your purpose for creating bootable media. Based on all these parameters, choose the right one to help you burn ISO files to USB.